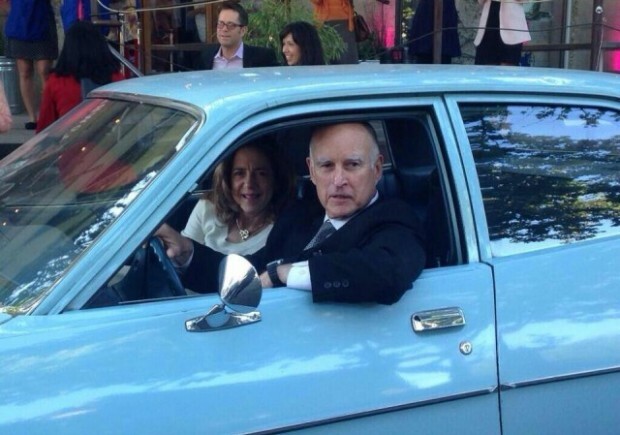 Friday morning, July 1, 2016, California Governor Jerry Brown “gunned down the Constitution” when he signed six and vetoed four of the eleven anti-gun, pro-restriction bills passed by the Legislature only the day before. Despite the failure of California’s strict gun control laws to prevent the San Bernardino massacre, the California Legislature passed the 11 anti-gun bills to decide whether 15 or 10 bullets in a clip is or is not criminal in a bill to allow for confiscation of previously allowed magazines capable of holding more than 10 bullets. Another bill will require background checks for ammo purchases. There is even a bill to limit your ability to lend guns to family members. AB 1135 (Levine): Bans common and constitutionally-protected firearms that have magazine locking devices. AB 1511 (Santiago): Criminalizes loaning of firearms between personally known, law-abiding adults, including family members, sportspersons, and competitors. AB 1695 (Bonta): Makes a non-violent misdemeanor a prohibiting offense. SB 880 (Hall): Bans common and constitutionally-protected firearms that have magazine locking devices. SB 1235 (de Leon): New restrictions on ammunition purchases; creates a DOJ database of ammunition owners. “The now deadliest shooting in U.S. history reminds us why California has to get it absolutely right as we work to prevent gun violence,” Senate President Kevin de Leon, D-Los Angeles, said in a press statement in May immediately following the Orlando terrorist attack. De Leon, notorious for his 2014 bill to paint all BB guns in California bright colors so they wouldn’t be mistaken for real guns, is the author of some of the most inane gun control laws, and recently passed legislation. The state’s anti-gun politicians are similar to anti-gun lawmakers in the US or in Europe: Those most fanatical about strict gun control laws are also those who support leniency toward criminals. In California, these same anti-gun politicians were fervently supportive of the 2011 inappropriately named “prison realignment” legislation, and the 2014 ballot measure Proposition 47, which resulted in an alarming cocktail of criminal justice “reforms.” But instead of decriminalizing drug crimes, or addressing prison overcrowding these “reforms” have resulted in a major crime wave across the state, prompting many law-abiding citizens to arm themselves. In 2014, California voters were sold on reforming the state’s drug laws with Proposition 47. However, the measure actually reclassified felons with prior convictions for armed robbery, kidnapping, carjacking, child abuse, residential burglary, arson, assault with a deadly weapon, and many other crimes. Add to it the court-ordered prisoner releases as a part of the state’s “prison realignment” under the 2011 Assembly Bill 109, and you have a surge in crime; such as what is already occurring in Oakland, CA which even after Jerry Brown’s eight years on-the-scene as Mayor, the FBI still considers one of the most dangerous cities in America. Add in more gun control laws, and law-abiding citizens become more vulnerable when they are disarmed, as criminals do not obey gun control laws. “The ‘Gunpocalypse’ legislation signed by the Governor today will create new criminal liabilities affecting millions of law-abiding people, cost the state tens of millions of dollars in new fees and fines, and eviscerate fundamental, individual rights,” said Firearms Policy Coalition President Brandon Combs in a press statement. “My goal in signing these bills is to enhance public safety by tightening our existing laws in a responsible and focused manner, while protecting the rights of law-abiding gun owners,” Brown in a statement. But are these unconstitutional firearm policies? In years past, the Governor has admitted he knows many of the bills won’t pass constitutional muster, but tells gun groups to litigate. Paredes said Gun Owners of California lawyers are looking at what can be challenged. “And we know there are drafting errors,” he added. The National Rifle Association accused the governor and lawmakers of having no regard for “proper process” after Legislative leaders suspended nearly every procedural rule to hastily pass the gun control legislation to Gov. Brown before he left for his month-long vacation in Europe. And the NRA promised legal action on the constitutionality of the anti-gun bills.